Our experts have produced a library of white papers, information sheets, online tools and other resources. Select the category header you wish to explore to view all our available resources in that section. 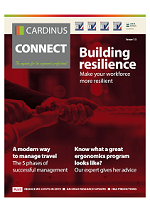 How to help your workforce be more resilient, reducing healthcare costs, travel management and loads of other treats for your consumption. 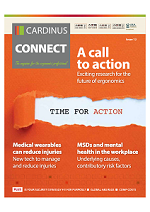 Download the 12th Issue of Cardinus Connect, with a big call-out to ergonomists and health and safety managers everywhere. We need you! 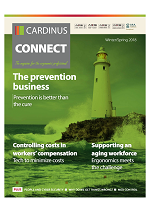 On the subject of health prevention measures, plus articles on MSD control, minimizing costs in workers’ comp and more. 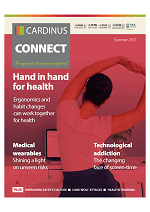 Ergonomics works hand in hand with habit change for health, plus other fantastic articles. 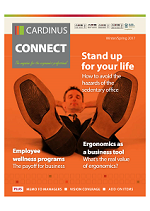 Learn about sedentary work and health risks, plus much more! 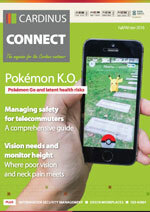 Discussing the latent health issues of Pokémon GO, plus plenty more! 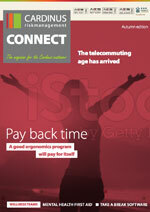 On the looming health issues of generation Y as they come into the workforce. 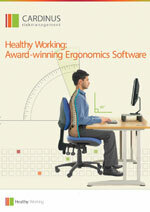 How ergonomics can pay you back. 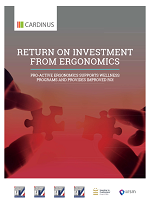 Pro-active ergonomics supports wellness programs and provides improved ROI. Find out more. 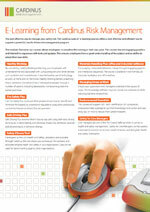 Healthy Working is an award-winning e-learning and self-assessment solution. It will help you reduce administration, while improving productivity and reducing injury-related discomfort. 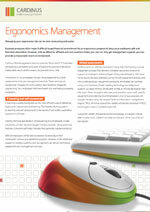 The cost-effective way to manage your safety risk. Our suite of e-learning courses offers a cost-effective and efficient way to support a powerful, results-driven risk management program. Business pressures often make it difficult to get finnancial commitment for an ergonomics program to keep your employees safe and free from discomfort. But when the benefits of a good ergonomics program are considered, this lack of support is hard to justify. 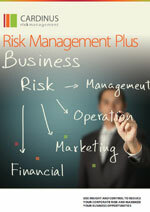 Risk Management Plus helps national and international organizations manage operational and strategic risk in an ever-changing world. it provides the tools essential to maximize business opportunities and increase shareholder value while ensuring regulatory compliance and minimizing potential risk.